This lot features city water and sewer and protective covenants to uphold values. Small neighborhood of well maintained homes in Clay Township awaits a new neighbor. 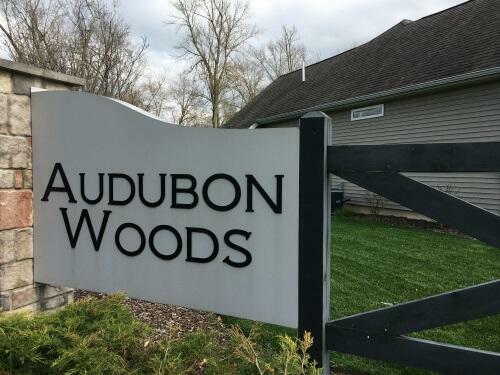 Great location, close to everything--Audubon Woods beckons! This lot is level and mostly cleared and ready to build! Conveniently located north of South Bend, just 5-10 minutes from Notre Dame, 80/90 Indiana Toll Rd, St Joe Valley Pkwy/31 Bypass, both major hospitals, Grape Rd corridor shopping and restaurants, Notre Dame University, and the Michigan State line! Bring your own builder or Seller can introduce you to established quality area builders and assist you through the process. Other new homes underway. Hurry to lock in your introductory pricing now. Broker Owned.